While scavenging for bits of food at a food factory in England on Monday, this seagull managed to fall into an outdoor waste vat of chicken tikka masala. 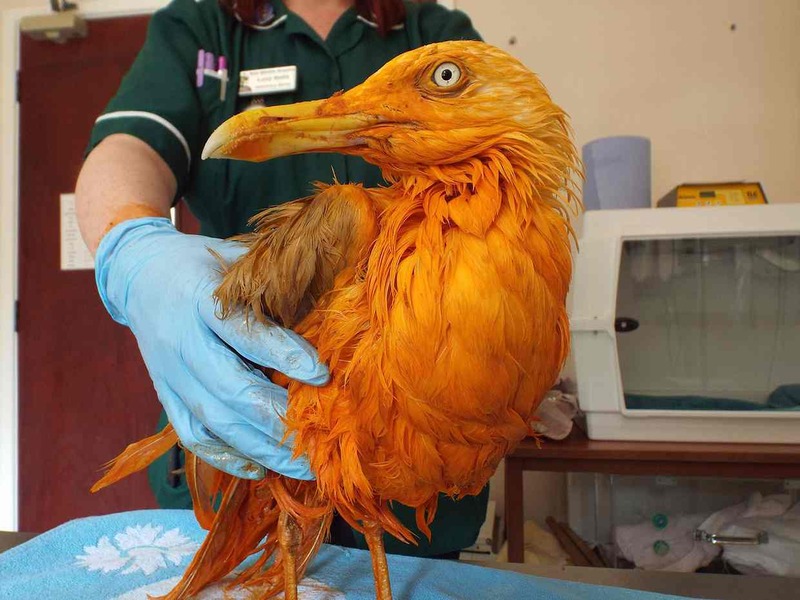 By the time he was rescued, the curry had turned him a bright orange. 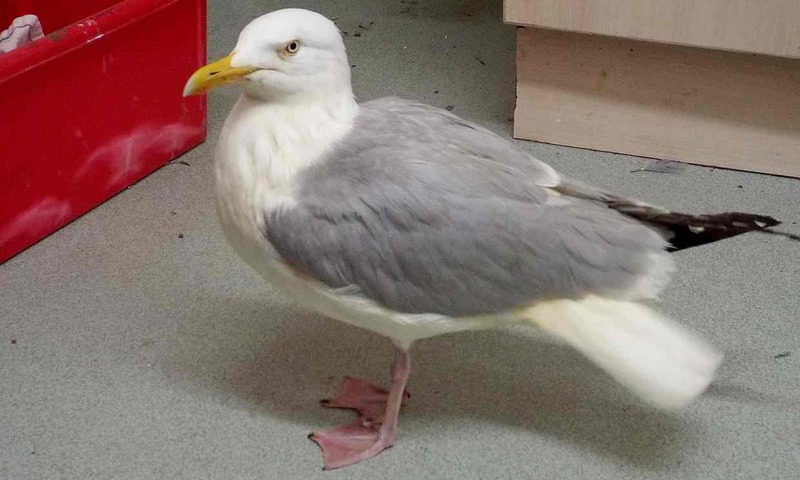 The seagull appeared to be a bit underweight so is being kept at the hospital temporarily to ensure an ample diet of assorted meat scraps. He’ll then be transferred to an outdoor aviary to re-waterproof his feathers before he is released. Pretty obvious what the seagull thinks of that idea. I think they use Dawn. That company is big on donating for bird rescues – but not sure which flavor – gull would probably prefer something more comfortingly fishy? I’ve always heard Dawn was the preferred detergent for this in the US. No idea what they actually use in England or if Dawn is even sold there. They are brazen as hell, that’s for sure. Not sure how tasty they’d be, though. 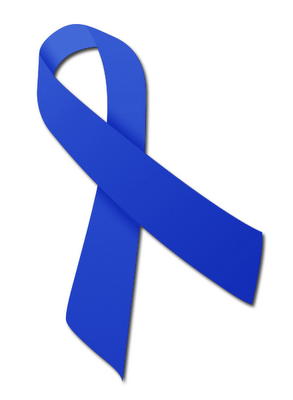 I mean, if they were, then they’d be a game bird, right? But then, where’s the challenge in catching a seagull?